Unfortunately yoga has been disregarded in the past by sportsmen, as its been seen as a woman’s activity. However this attitude is changing. When attending classes myself I’ve found more men are choosing to take part also. Indeed, over recent years, yoga has become increasingly popular for athletes. Elite soccer players such as Ryan Giggs claim yoga has helped his on-field performance and career. Strong safety Mike Adams is also reported to enjoy yoga for increasing his energy levels, muscle tone and ability to concentrate. 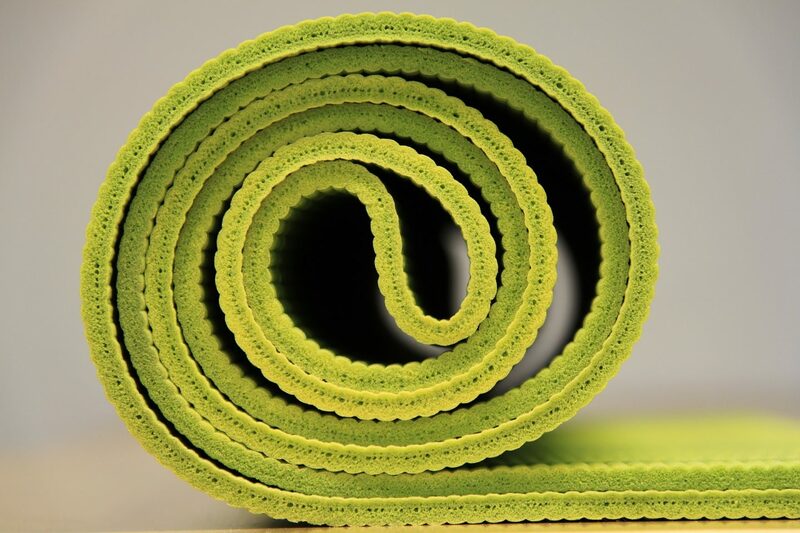 There are varying types of yoga – so find what suits you. 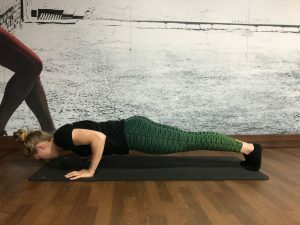 For the athlete, perhaps something more calming, including lots of stretching as a form of recovery would be beneficial, or perhaps you would enjoy a yoga class geared more towards strengthening. 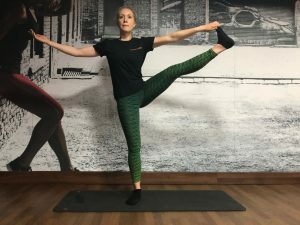 In the past I have followed and enjoyed an Ashtanga style class which I feel covers all the bases – I work up a sweat, relax, stretch, strengthen and enjoy the fluidity of the sequences. If you’re not convinced just yet, then view these few examples of yoga being utilised by American Football Teams in the USA. 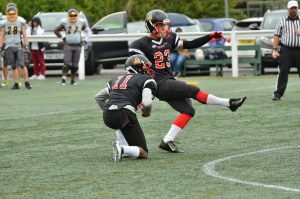 British Flag Footballer Mike has found yoga to be a perfect supplementary exercise to football. Mike started playing Flag at 40 years old, training each Sunday and told me “I used to hobble around on a Monday like an old man!”. 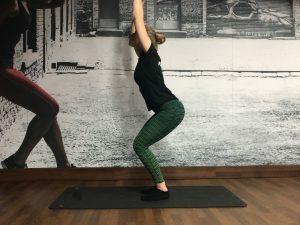 After a taking a break from yoga he took up yoga again which has restored his mobility, flexibility and reduced post-training pain and stiffness. Mike believes he is fitter now than when he first started football and that a huge part of it is down to his yoga practice. Over the years it has increased his range of motion, strengthened and stabilised joints and helped him to recover quicker. Here is another remarkable story from HC and ex-D-Lineman, Kevin O’Reagan… “I took up yoga, DDP Yoga to be precise, as a way of helping to lose weight after retiring from playing American Football. 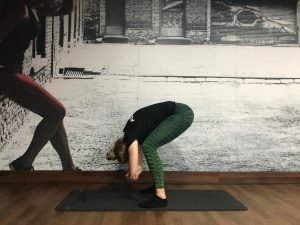 I’d always been sceptical of yoga, thinking that it was for the ladies and hippies, but when I saw the impact it was having on some of my favourite WWE wrestlers I thought I’d give it a go. After a month of doing yoga not only had I lost a stone in weight, but I’d never felt better. 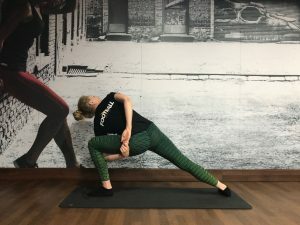 Pain that I had been dealing with from previous injuries and surgeries was gone, and scar tissue left over from two ACL reconstructions was breaking up and improving my flexibility. Results have been so good I now no longer wear my knee brace when I play Soccer, which had become quite the crutch for me. I wish I had taken it up years ago. 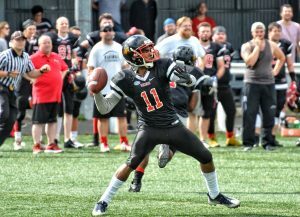 I may still be playing American Football now if I had. Yoga is an ancient practice. It differs from specific types of training due to its multifaceted requirements that challenge the body in different ways. The word yoga means to ‘unite’. The practice aims to bring the body and mind into sync with each other. 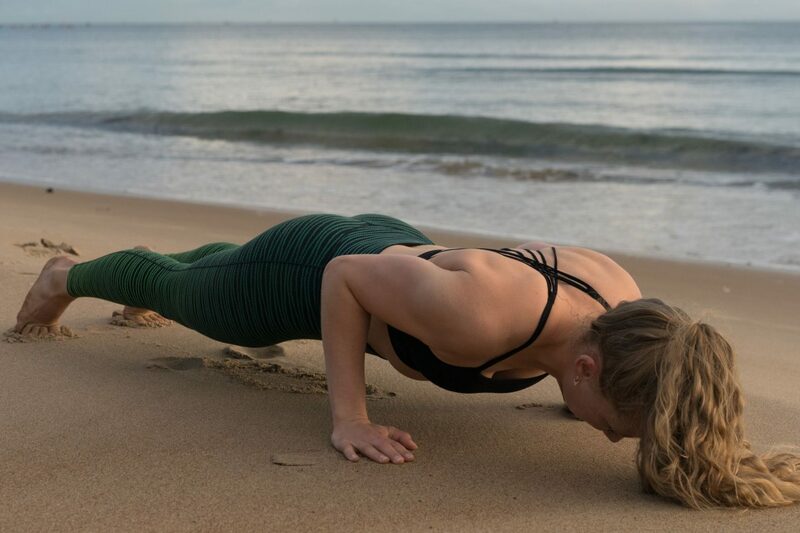 The physical practice consists of regular and steady breathing while changing body positions through a series of static postures during which targeted muscles are engaged under tension. Concentrating on breathing mechanics through the practice is a challenge for the modern world – rarely do we take the time to sit in peace listening to our body. 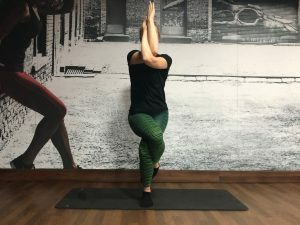 For the footballer, whose body faces multiple challenge during a game, yoga may be a unique supplementary activity which allows for replication of similar challenges in a controlled environment, such as maintaining balance while extending joints beyond their normal range of motion. This might align well with a the role of a kicker in a special teams play or a QB looking to pass. American Football and Yoga may seem like they are worlds apart but in reality, one can help the other. If not already practicing, athletes should consider using yoga as a way of optimising performance. Practicing yoga has many associated outcomes in physical and mental well-being. …. that’s quite a few benefits! The relationship between yoga and injury prevention/performance is yet to be explored sufficiently by research. It would be interesting to see if the claimed benefits are correct! 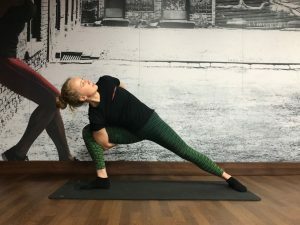 Yoga could become an important component of a comprehensive training regime alongside other training methods such as weight and sprint training. For the male athlete there is no shame in taking part in yoga. Don’t judge it until you try it! (I found a few sessions were best to feel the results). Polsgrove, M Jay, Brandon M Eggleston, and Roch J Lockyer. “Impact of 10-Weeks of Yoga Practice on Flexibility and Balance of College Athletes.” International Journal of Yoga 9.1 (2016): 27–34. PMC. Web. 23 Aug. 2018. Next Post The Team is Growing!